Our study, the first to test the impact of self-regulation on industrial accidents, examines Responsible Care (RC) in the US chemical manufacturing sector. RC requires members to adhere to codes of conduct on production safety and pollution prevention. 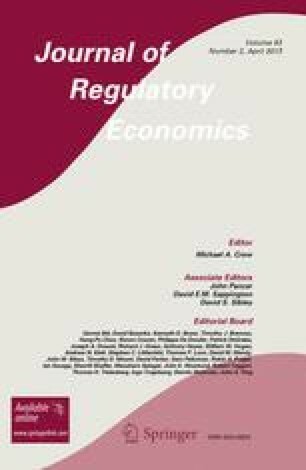 Using our author-constructed database of 1,867 firms that own 2,963 plants between 1988 and 2001, we instrument for firms’ self-selection into RC using pollution-related regulatory pressure on firms that influences their probability of joining RC, but not plant-level accidents. We find that participation in RC reduces the likelihood of accidents by 2.99 accidents per 100 plants in a given year, or by 69.3%. Participation in RC also reduces the likelihood of process safety accidents and accidents related to violations of RC codes by 5.75 accidents per 100 plants in a given year, or by 85.9%. Alternatively, estimates using Propensity Score Matching (PSM) methods indicate that participation in RC reduces the likelihood of accidents by 0.66 accidents per 100 plants in a given year. The reduction in the likelihood of accidents, due to participation in RC, contributes to economically significant averted losses, with savings, even based on the smaller PSM estimates, totaling $180 million per year. The online version of this article (doi: 10.1007/s11149-012-9201-8) contains supplementary material, which is available to authorized users.